Invisalign is a discreet, convenient, comfortable alternative to traditional braces. For most patients, Invisalign treatment can achieve results similar to traditional braces, in about the same length of time. However, it does not utilize brackets or wires. In fact, there is no metal involved. 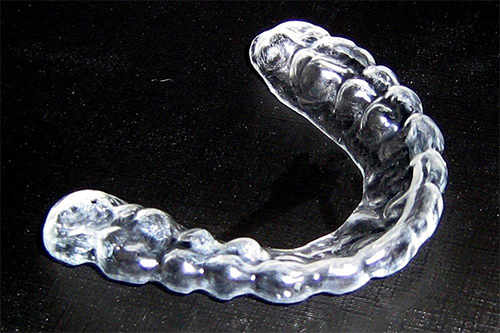 Thin, comfortable, transparent aligners fit over teeth, much like a retainer. They are removable, and virtually invisible when you smile. 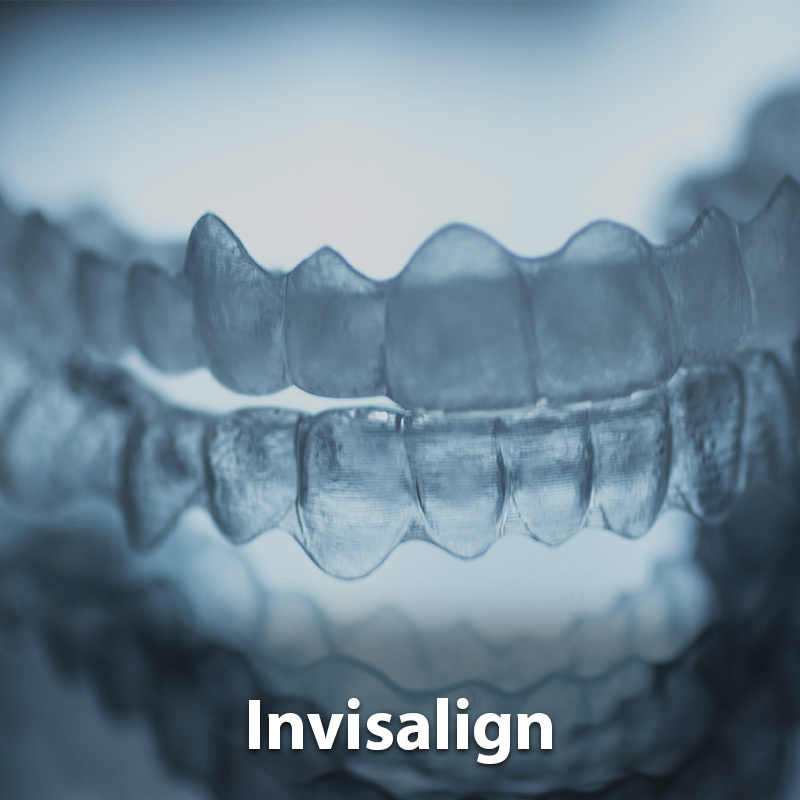 Invisalign is discreet, comfortable, and effective. Take the first step towards your healthy, beautiful, straight smile. Call us for a free Invisalign consultation at 404-549-5570. Porcelain veneers are thin and extremely strong porcelain shells that are used to create a new front surface for a tooth. Porcelain veneers are extremely natural looking; in the dental world they symbolize beauty and perfection. Veneers are custom made in a variety of shades and contours and are able to mimic natural teeth nearly perfectly. Veneers are used to close or reduce spaces between the teeth, repair or restore chipped or fractured teeth, “straighten” crooked teeth and dramatically improve the appearance of malformed and discolored teeth. 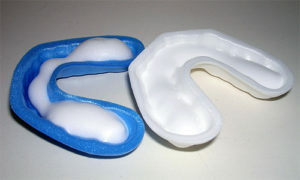 They are also used to improve position, shape, and tooth color. The shape and size of your porcelain veneers can have a profound impact on your facial appearance. By making some teeth more prominent and reducing the size of others, we can design a smile to your liking. Veneers are permanently bonded to the front surface of the teeth, making them a popular way to obtain a beautiful, natural looking smile. Depending on the condition of your teeth and smile goals, our doctors will recommend the most beautiful and functional type of restorations for you. Porcelain veneers are also a perfect alternative to braces; crooked teeth and gaps can be corrected in as little as two weeks. For patients who have had orthodontic treatment, veneers can add the final touch for creating their ideal smile. How are Veneers done by Dr. Wells? Almost any dentist can create acceptable porcelain veneers. However, dental treatment with beautiful, functional porcelain veneers are art and science, and very few dentists have the artistic inclination required to create them. There are also post-graduate training programs available for dentists to educate those artistically inclined in the art of smile design. Dr. Wells is a prosthodontist. After graduating from dental school, she completed three additional years of restorative dentistry training. Prosthodontic specialty training requires dentists who undergo this rigorous additional training to treat the most complex of restorative cases in dentistry. This three year post-doctoral training gives prosthodontists the necessary expertise to engineer smile design and restore functional bites. Veneers should be custom designed to fit your face, smile, personality, and gender. When done correctly, they look and feel like real teeth. When we create your treatment plan, we combine your preferences with our experience and artistry. Computer imaging, creative wax formed teeth and photos, can be used to help you decide on the style, shape, and color that work best for you. If you are interested in dental veneer treatment, please give us a call to schedule a free consultation at 404-549-5570. Resin veneers are premade veneers that can be bonded to your teeth for an instant beautiful result for a fraction of the cost of lab-made custom porcelain veneers. What is the difference between Resin and Porcelain Veneers? When considering the restoration of anterior teeth the use of prefabricated composite veneers offers a material alternative that can yield a highly aesthetic appearance at a fraction of the cost. They can be completed in a single appointment with no lab fees, and restorations that can be easily maintained. A prefabricated resin composite veneers are highly polished and beautifully contoured. They are an ideal alternative to the more expensive custom made porcelain veneers. Cosmetic dental bonding can be completed in one visit and can provide an instant result. Because of its conservative nature and affordability, bonding is a great alternative to other, more extensive cosmetic procedures. Not everyone is a candidate for bonding; if you are not then another treatment option will be recommended for you. Your smile is one of the first things people notice about you. It can make a lasting impression. Teeth whitening is a safe and affordable way to brighten your smile. The results are safe, predictable, and natural looking. 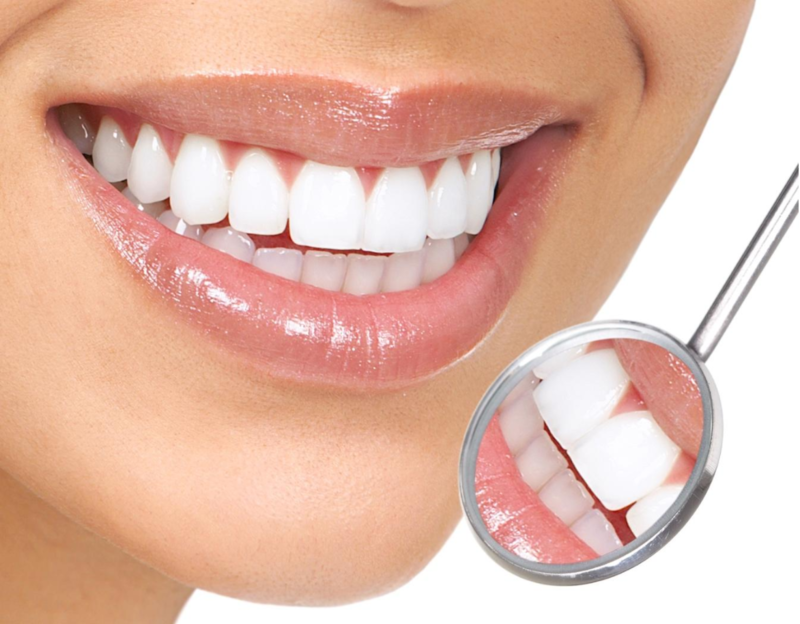 Why get Teeth Whitening at MouthPeace Dental? Teeth whitening strips and whitening toothpaste might remove some surface stains from your teeth, in some cases they don’t help at all. Stains that are embedded in your teeth won’t budge with these products. We use professional-strength bleaching gel that penetrates below the surface of your teeth to oxidize stains. It will even lighten the natural pigmentation of your teeth to make your smile the brightest it has ever been. Over-the-counter whitening products are only a fraction of the strength of the gel that we use. Our doctors will first examine your teeth and gums to determine if they are healthy enough for teeth whitening. Bleaching gel can irritate unhealthy teeth and gums and create sensitivity. If tooth decay is severe, the whitening process can actually harm your teeth. Any issues with your teeth or gums need to be addressed before they are whitened. In some cases, teeth bleaching can make stains more noticeable. Our doctors will determine if whitening is the right solution for you. We will recommend the best treatment for your case, as well as alternatives. We do in-office teeth whitening treatment with successful results and minimal sensitivity. This method produces faster results than take-home whitening. Your teeth will be several shades whiter in just one appointment. After in-office treatment, you will need to do periodic touch-ups at home. 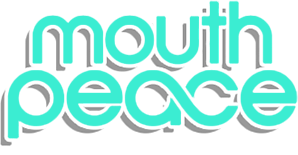 At MouthPeace Dental, with this treatment you will receive a complimentary set of custom-made whitening trays. We take impressions of your teeth to make customized bleaching trays for you. Customized trays fit your teeth intimately to keep bleaching gel sealed against your teeth. This helps the gel to penetrate your teeth and prevents gum irritation. Every day you’ll place a small amount of bleaching gel in the trays. You will wear the trays overnight or for the length of time instructed. You will do periodic touch-up treatments at home to keep your smile its brightest.